On Wednesday 25th April, a new satellite was sent into orbit to become part of a very special double act… We’d like to introduce you to the latest edition to the Copernicus family: Sentinel-3B! 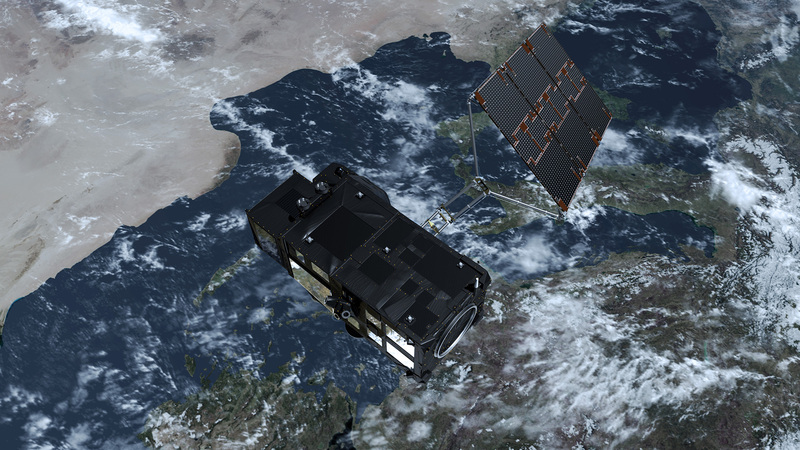 Sentinel-3B is part of a series of Sentinel satellites belonging to the Copernicus Programme, which is coordinated and managed by the European Commission. Copernicus is the European Union’s Earth Observation Programme, and the world’s LARGEST, providing a continuous “health check” of our planet for the benefit of all European citizens. Sentinel-3A has been making excellent observations for over two years and its instruments are delivering high-quality data to users. The launch of Sentinel-3B on 25 April completed the full mission constellation for the Copernicus Sentinel-3 Programme and the two satellites are set to operate in parallel, providing optimum global coverage (yay!). The satellite had to undergo many tests along the way before its launch into space. First, it spent some time at the Thales Alenia Space premises based in Cannes, France, where it was assembled and tested inside a clean room before making its way to the Plesetsk Cosmodrome – a Russian spaceport located in Mirny, Arkhangelsk Oblast, which is about 800 km north of Moscow. Such a delicate and important package had to be transported and unpacked carefully at each stop and needed to undergo some ‘resting’ time after its long journey from France to Russia before further tests were carried out. Everything seemed to be running as it should, so the only thing left to do was get the satellite ready for launch! Everybody involved was very excited for the launch night, either to see the end result of their hard work or to start using the data. There were another group of people who were also very excited and wanting to be a part of the launch action… boys and girls, meet the “Sentinerds”. 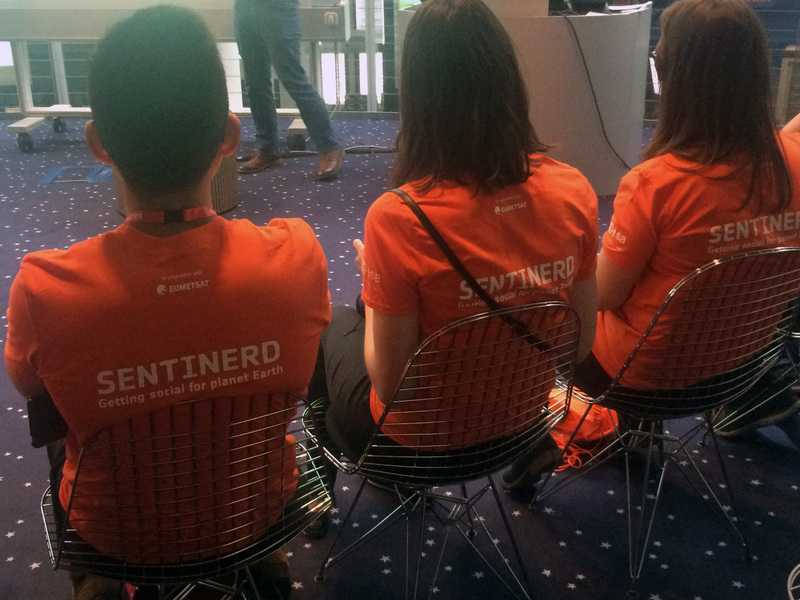 The Sentinerds were able to apply via the European Space Agency (ESA) to be a part of this #SocialSpace event on launch night, and 40 lucky Sentinel enthusiasts were chosen and split between Berlin and Darmstadt. The Sentinel-3B launch was such a big deal that it had not one, not two, but THREE separate events! Spread out over three venues in Germany, EUMETSAT staff and Sentinerds attended: the Innovation and Leadership in Aerospace (ILA) event in Berlin, the EUMETSAT headquarters in Darmstadt, and the European Space Operations Center (ESOC), also in Darmstadt, which serves as the main mission control centre for ESA. This exclusive space experience included information on cutting-edge new technologies, space exploration and earth observation. 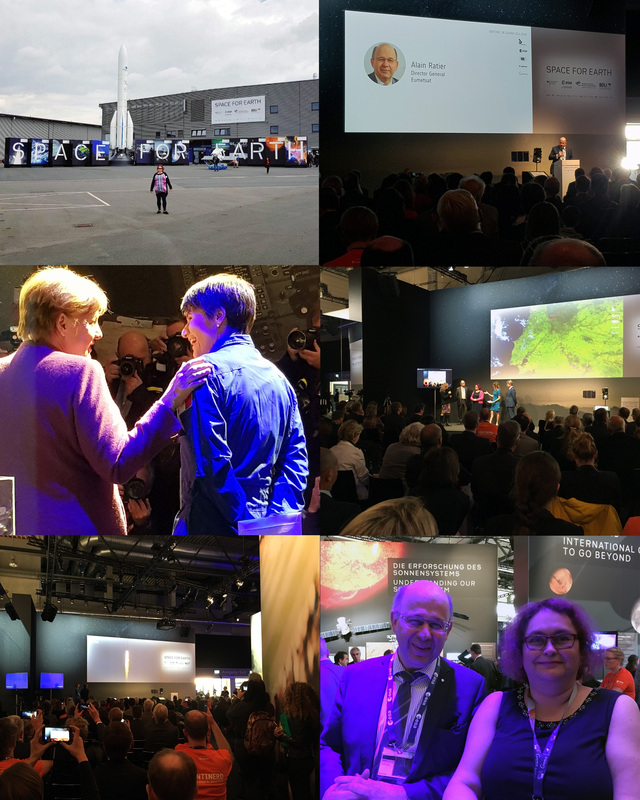 Our Director-General, Alain Ratier and Copernicus Sentinel-3 Mission Manager, Hilary Wilson were also invited to speak on stage during the Sentinel-3B launch event. Sentinerds and EUMETSAT staff were among the crowd, waiting patiently for the satellite to lift-off successfully and letting out a big round of applause once it finally did. 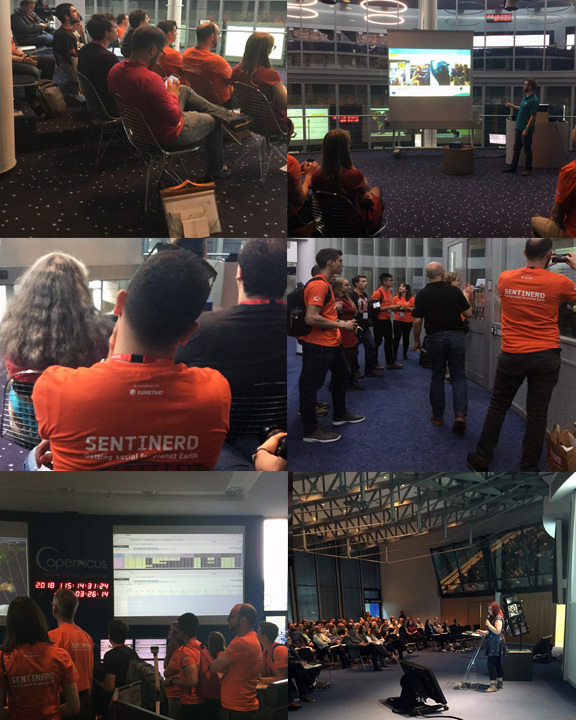 Sentinerds got an exclusive look at the mission control facilities at ESOC and met some of the people involved with Copernicus. EUMETSAT staff were also present to hear presentations from staff and be a part of the excited crowd in the build-up to the main event. You could almost hear a pin drop while everybody sat and waited for the countdown before lift-off, and it was a huge relief once it did! Everybody cheered and then it was another tense wait before the confirmation of Acquisition of Signal (AOS), which was received after a couple of hours – phew! Keep up-to-date with all Sentinel-3B goings-on over at our main website or our social media pages!